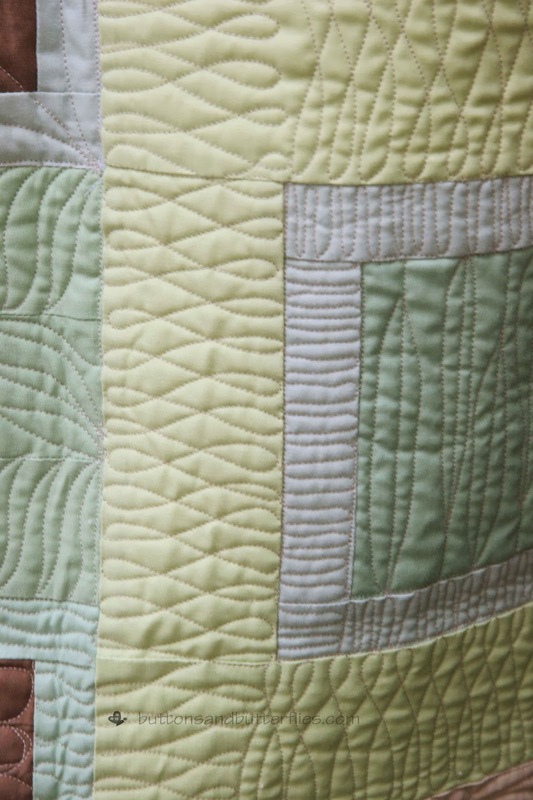 This quilt is really all about learning. Even after 17 years, I am still learning. Not only new techniques, but learning more about myself. 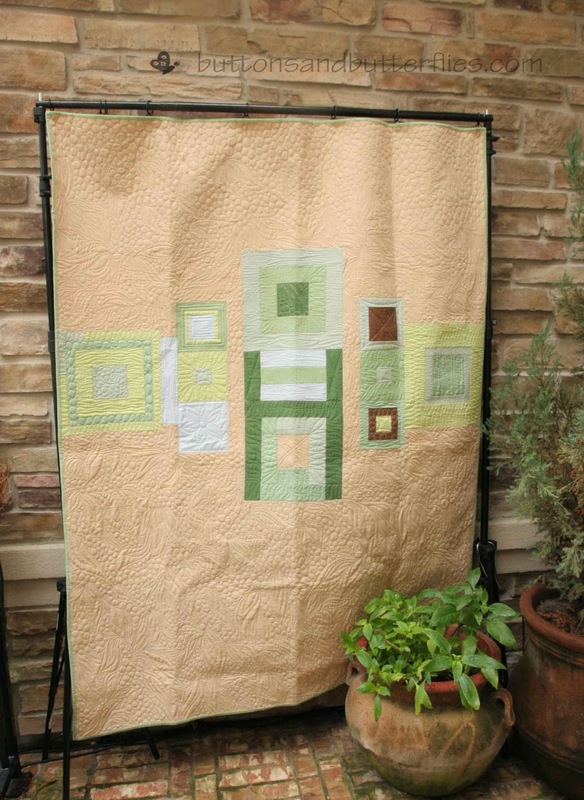 The pattern is from Angela Walter's Negative Space class on Craftsy. 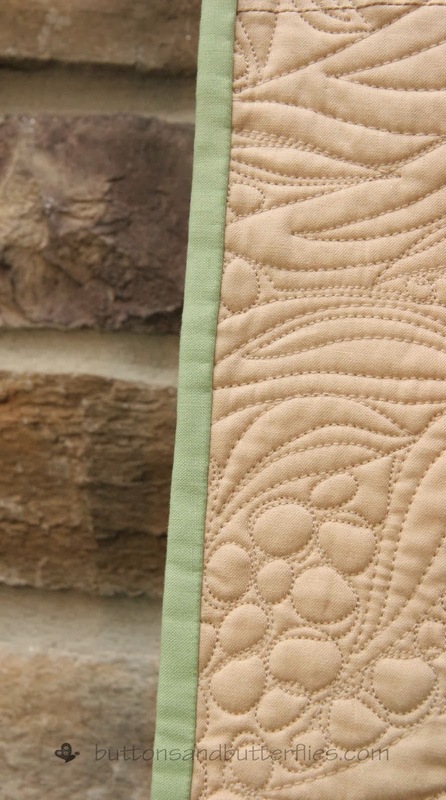 I bought the class last year when it first came out, and have used the techniques ever since on many quilts. Particularly my Artist Palette Mini, Primarily Sean's, and Stars and Stripes. Because I missed the opportunity to piece the quilt by Christmas last year for my mom, I didn't really rush to piece it until this past August. 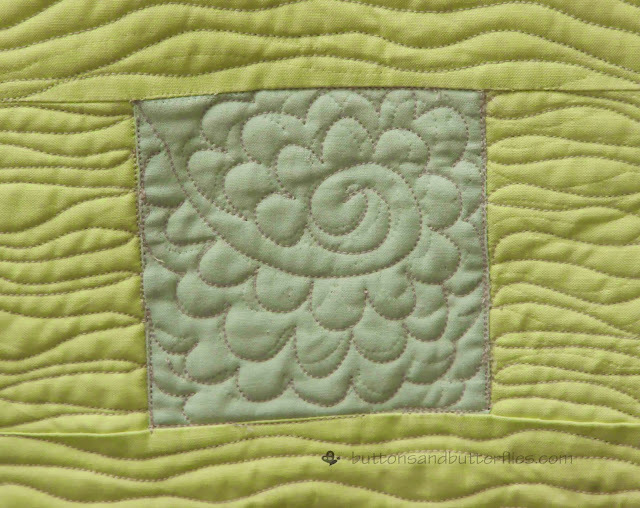 It came together fairly quickly and is officially my very first ALL solids quilt. The colors aren't really my first choice. But if you saw my mom's family and living rooms, you would look at this and say "Yes. Yes indeed". Growing up, I would not have pegged her as a "modern" gal, but looking back, she always has had pieces that were clean lined. Now to the REAL purpose of this quilt. The quilting. 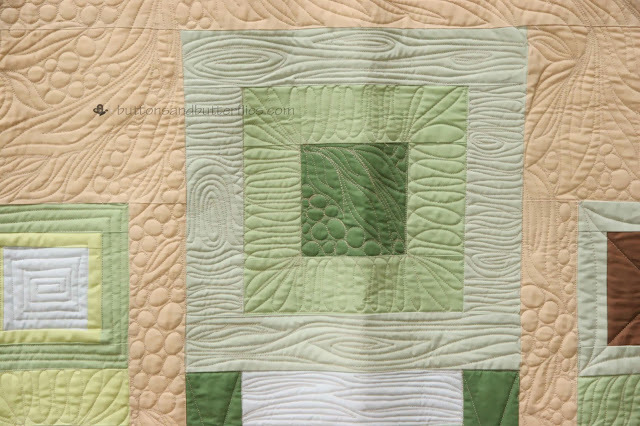 I really feel like this quilt is ALL about the quilting. 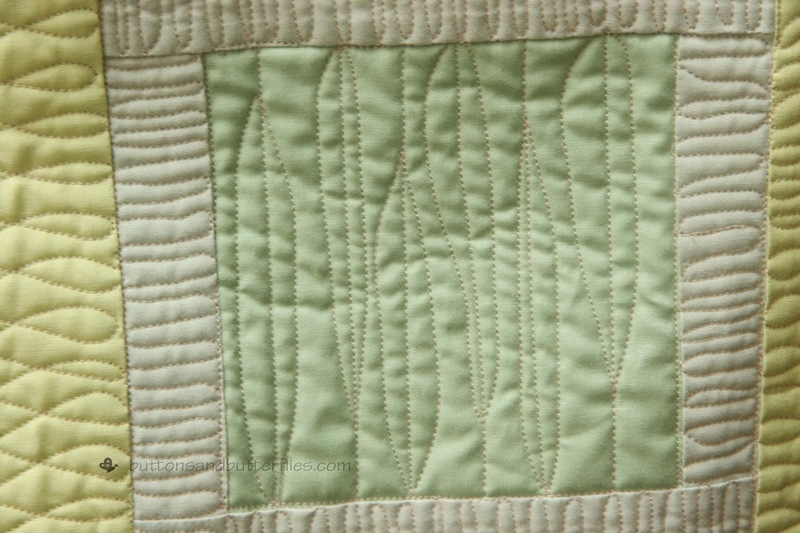 And boy, did I quilt the heck out of it. I had originally sketched out a VERY broad plan of leaves and pebbles. And it just kept becoming very organic and botanical. Because the other thing about my mom is that she loves botanical prints. A LOT. As I was quilting from top to bottom, I was "seeing" a tree. Leaves dipping down from branches. I had the urge to do bark on one side and then grass at the bottom. But then felt it was getting too literal as I worked my way down. Instead, I did some bark in the squares. I have to point out this mess below. I struggled with tension issues and the flower was SO much prettier the first time. So here is my "keeping it real" photo. I sure hope washing gets all the yuck out below! I did quilt one obvious flower. 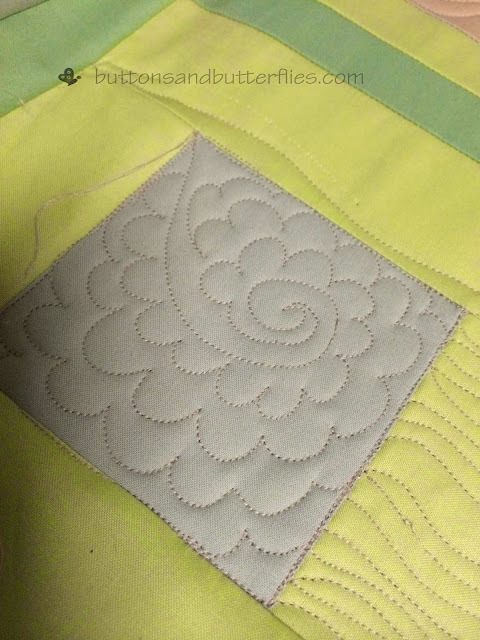 Because I just needed a little "Heidi" on the quilt. 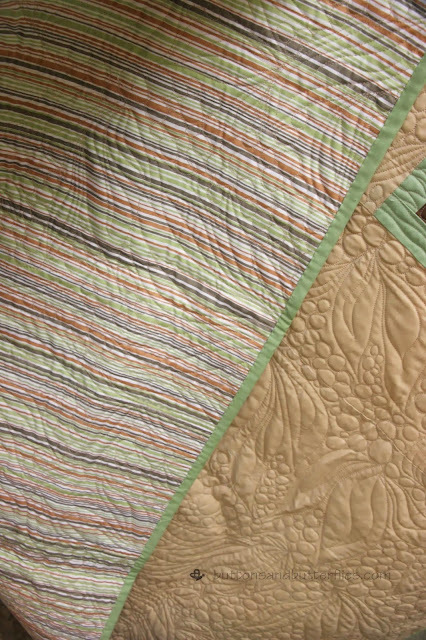 The backing is exactly what I wanted and also happens to be called Garden Party Stripe which I promptly started calling the quilt. The binding. My gut was to do a brown or really dark green, but knowing my mom's taste for the pastels and mild colors, I restrained my urge and decided on one of the softer greens. 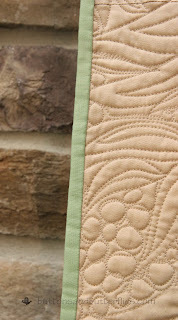 Quilting: Avante 18" longarm by me! Recently, I heard the composer Sodenheim say in a quick blip from his new HBO documentary that (and I'm completely paraphrasing) if you write music to be popular or to make money, you will not do well. You must do it for the love. 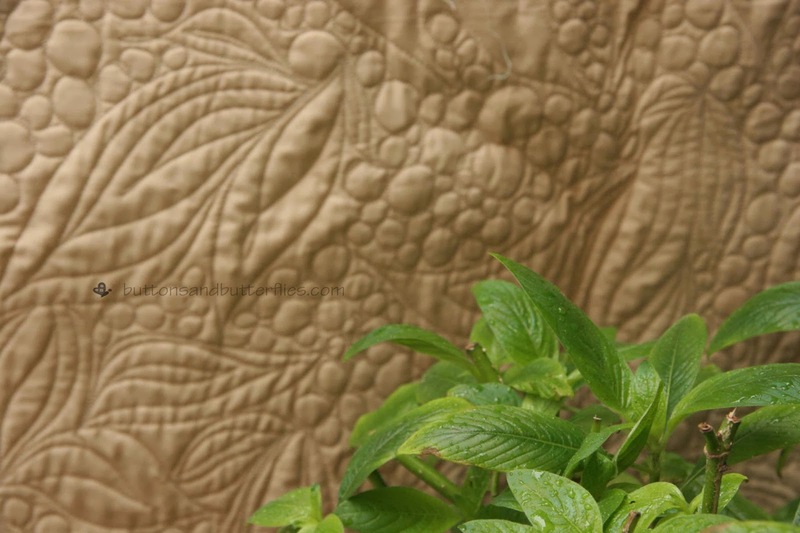 It was then that I remembered why many of my quilts are so successful. Love. 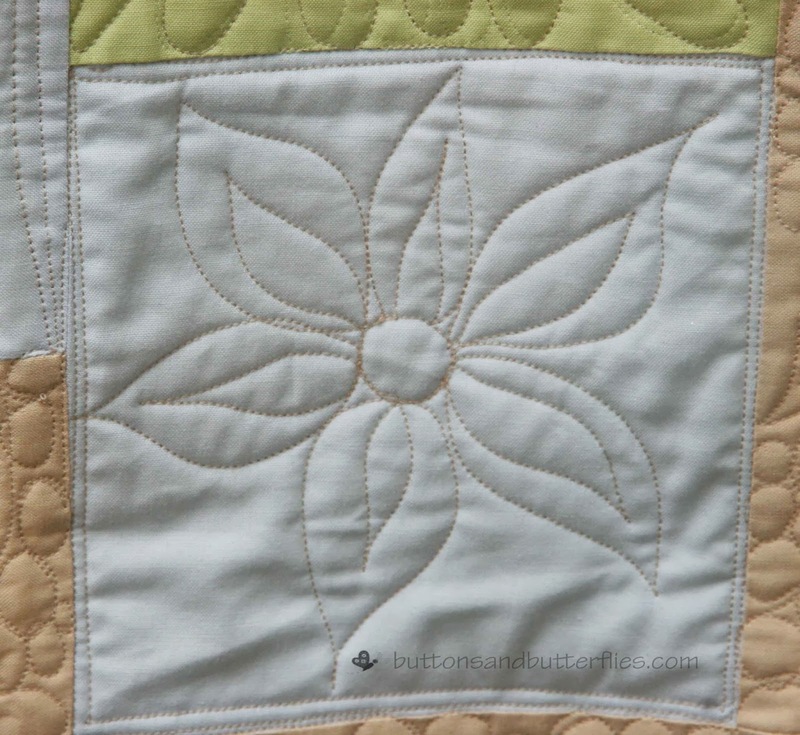 A lot of love goes into my quilts! Thank you! Probably one of the best decisions I have ever made! Wow! Amazing. 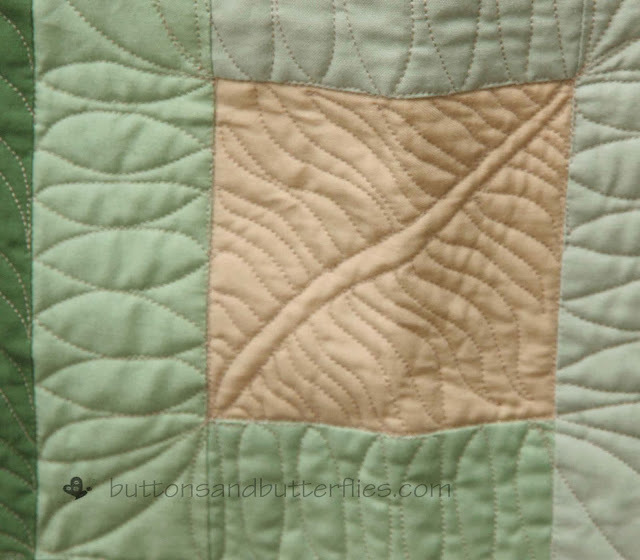 Your quilting is just wonderful. Well done! 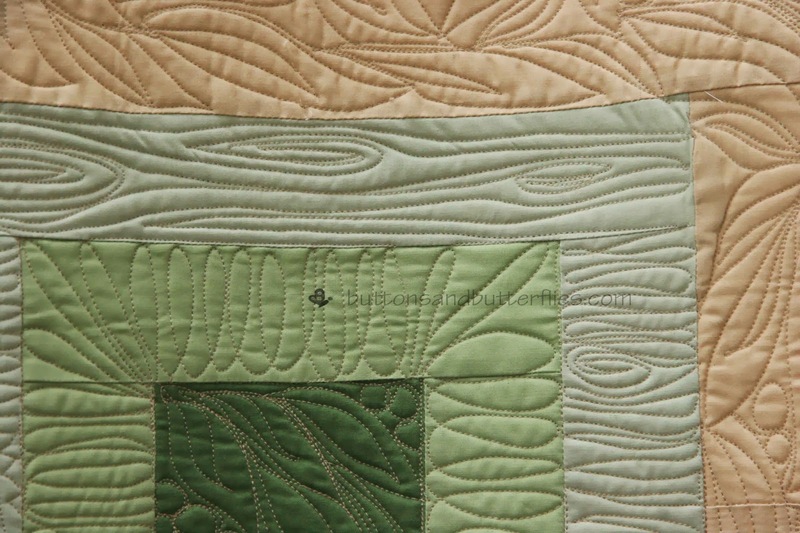 Love your quilting. It is quite organic. Beautiful work! Looks wonderful. I took that class as well and loved it! 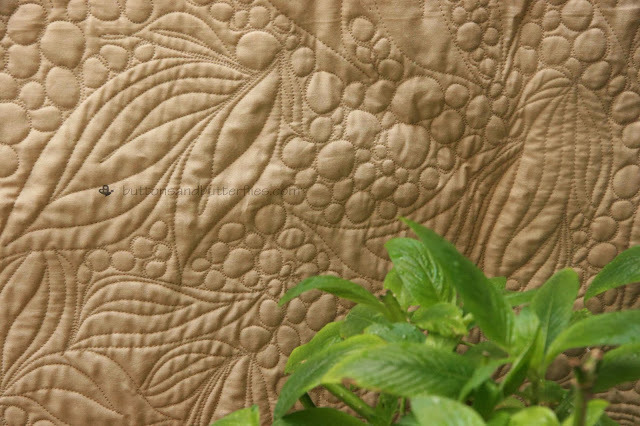 I haven't made the quilt but think I should! What a lot of work! Well done!